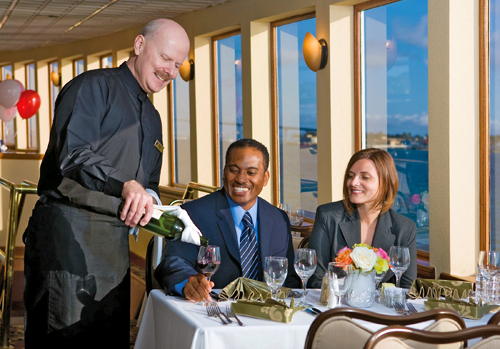 Ideal for a variety of occasions, including birthdays, anniversaries, Spring Break vacation and more, San Diego Dining Cruises by Hornblower Cruises & Events offers memorable dining experiences on the water. Passengers can enjoy gracious hospitality, breathtaking views of the shimmering waves, exquisitely prepared meals and music on either a daytime or evening voyage. Tour operate rain or shine with U.S. Coast Guard approval. Business to dressy casual attire. 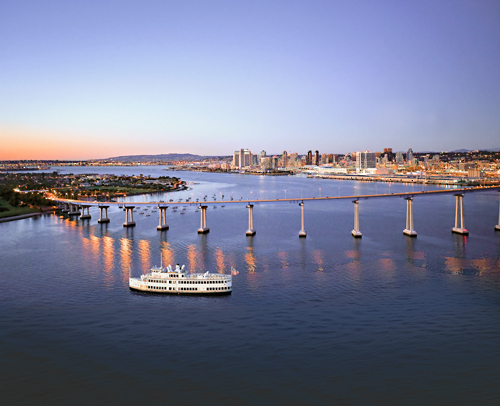 Spectacular views of San Diego Bay. Most established dining cruise on West Coast. Vegetarian, Gluten-Free & Kids options available by request. Free WiFi. Post your pics while you cruise. Celebrate in an extraordinary way with a deliciously different dining experience, complete with spectacular views, aboard an inviting yacht on San Diego Bay. San Diego Brunch enthusiasts are always seeking a new experience. Hornblower Brunch is one of a kind. Celebrate with a brunch cruise on San Diego Bay. 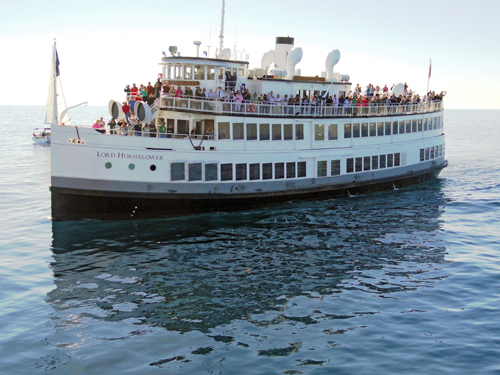 Grab your friends and board this unique sunset cocktail cruise, each Fri. and Sat. It's the coolest happy hour on the bay. Great views, great people! Lunch and Brunch Cruises: We recommend California casual attire, such as khaki pants and collared shirts. We request no shorts, tank tops, flip flops, or gym shoes. Dinner Cruises: Business casual to dressy casual attire is recommended. For men, slacks or khaki pants, and a collared shirt with or without a jacket; for women slacks or skirt, with a collared shirt, or dress. We request no jeans, shorts, tank tops, flip-flops, or gym shoes on these cruises. No, you do not need to pre-select your menu. Some of our cruises have multiple entrée options and we have a menu that you will choose from onboard. 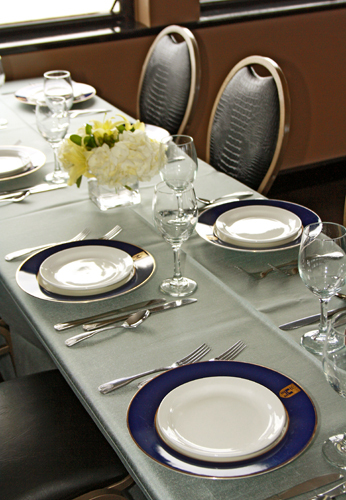 For our other cruises, we either have a preset menu or offer a buffet with a variety of options available. Our vessels are all subject to inspections by the U.S. Coast Guards and our crew are all properly licensed. We also follow Marsec security guidelines. Should the Marsec security level be elevated, we may opt to increase security measures onboard our vessels to ensure everyone’s safety. The U.S. Coast Guard requires all passengers over 18 years of age to have valid photo identification. Please make sure to have your photo ID available at boarding.